Care has been improved, and lives have been saved in 2017. Maternal deaths have decreased by 75 per year at the hospitals in Dar es Salaam during the last two years, according to local statistics. 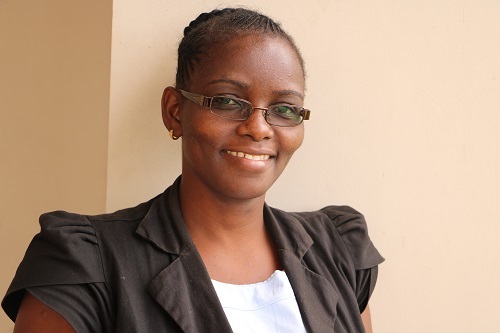 Eva Shanga has completed her specialist training. 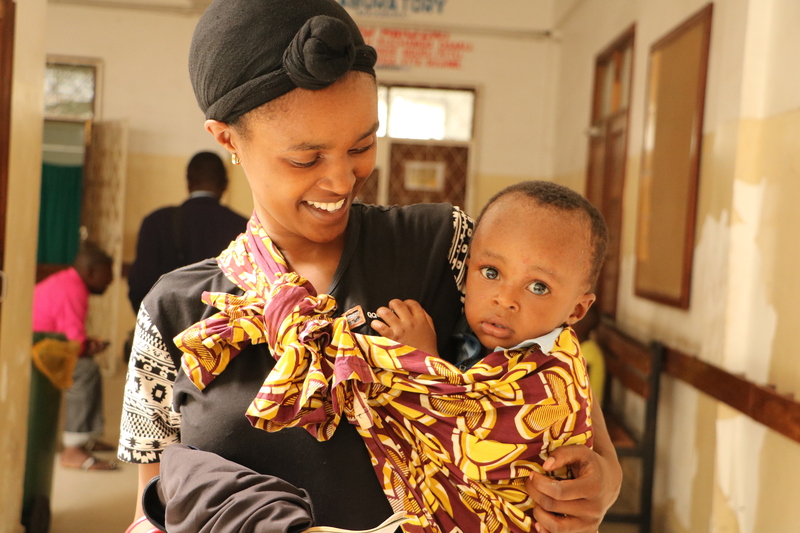 To encourage the development of anaesthesia is one of our priorities, and Eva will soon be accompanied by 38 more specialists in the hospitals in Tanzania. Another highlight in 2017 was the first ever National Conference in Anaesthesia & Intensive care in Malawi in August. This was an important step in a country with only four anaesthesiologists, where the maternal and infant mortality is high and life expectancy low. – A course in VSDT, Vital Signs Directed Therapy, at Muhimbili National Hospital in Dar es Salaam in January, with 82 participants. – A course in obstetric anesthesia and obstetric emergency care at Amana Hospital in Dar es Salaam in May, with 30 participants. Total now trained on Life Support courses is 688. – An introduction day in Stockholm for 13 participants interested in working with Life Support Foundation, in February. 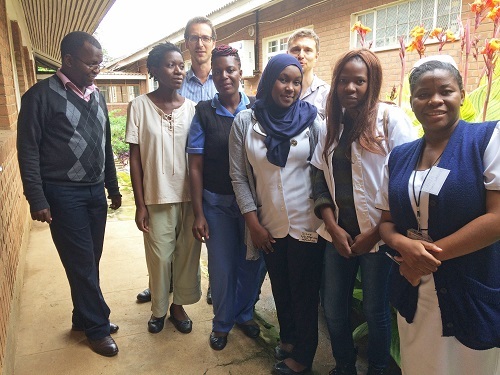 – Formed an ICU Working Group in the Intensive Care Unit, Queen Elizabeth Central Hospital in Blantyre, Malawi. Weekly seminars held for nurses on the ICU. – Lectures by Tim Baker for medical students at the College of Medicine, Blantyre, Malawi COM in May and October. – Lectures in Anaesthesia and Intensive care provided to teams working in Kagera and in Lindi/Mtwara in Tanzania. – Four staff exchanges in paediatric and neonatal acute and intensive care in May, to Karolinska University Hospital in Huddinge and Solna, in co-operation with Astrid Lindgren Children’s Hospital. The two nurses and two trainee doctors came from Muhimbili National Hospital in Dar es Salaam. – Two exchanges in obstetric emergency care in August, to BB Stockholm and Kvinnokliniken, Danderyds Hospital, by an obstetric doctor from Sinza Hospital and a midwife from Amana Hospital in Dar es Salaam. – Completed the support for the training of Dr Eva Shanga. Sha has now graduated and is the first and only specialist in anaesthesia and intensive care, at Temeke Regional Hospital in Dar es Salaam. – Successfully advocated for more trainee doctors in anaesthesia and intensive care in Tanzania. Within the next three years the specialists will be over 50. – Enabled Zione Banda, ICU Nurse, to take a Masters in Adult Nursing in Kamuzu College of Nursing, Malawi, sponsored by EDUF. – Provided research project assistance for Fred Tembo and Lukansola Makubula, trainees in Anaesthesia in Dar es Salaam. 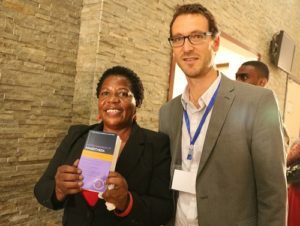 – Lectures and workshops by three delegates from Life Support Foundation at the fourth Scientific Conference of the Society of Anaesthesiologists of Tanzania (SATA) in May. 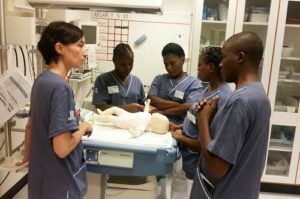 – Financial support for 10 anaesthetic nurses from rural hospitals in Tanzania, and three nurses and one doctor from Malawi, to attend the SATA conference. – Support for the first ever national conference in anaesthesia and intensive care in Malawi in August. Lectures and seminars by three delegates from Life Support Foundation. 85 participants from different parts of the country attended. 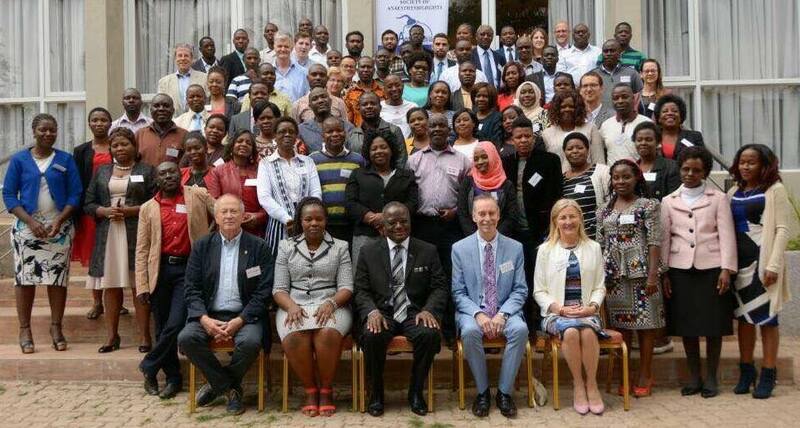 – Sponsorship of three delegates, our project coordinators in Tanzania, to attend the conference in Malawi. It was an excellent forum for discussing similar challenges in the two countries. – Initiated an international collaboration for supporting Malawian Anaesthesia & Intensive Care. 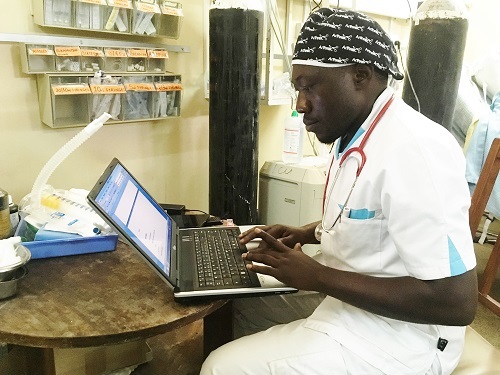 – Gave 200 anaesthesia and acute medicine handbooks and 200 USB memory sticks filled with medical e-books and medical information, to doctors and nurses in Tanzania. Gave 30 anaesthesia textbooks to residents in Tanzania. Thanks to the WFSA and AAGBI for their generous donation. – Donated USB Memory sticks filled with medical e-books and medical information and ICU handbooks to all the delegates at the national conference in anaesthesia and intensive care in Malawi. – Provided 100 sets of surgical gowns to hospitals in Malawi, donated by Hejco. – Provided 18 stethoscopes, 15 mobile phones, 15 oral pharyngeal airways, 17 nasal pharyngeal airways, face masks, ambu bags and infusion pump bags to Tanzania, donated by the Department of Thorax and Anesthesia, Karolinska Hospital in Solna. 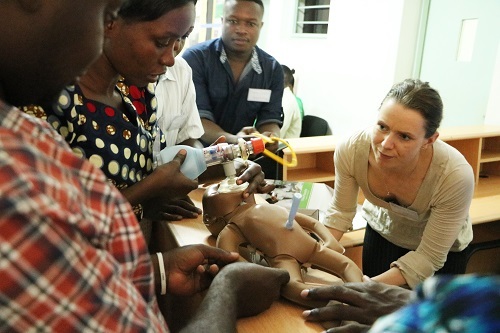 – Provided training mannikins for intubations and for cardio-pulmonary resuscitation to Muhimbili Ortopedic Institute, donated by Ambu, as well as advanced respiratory equipment and several Ambu-bags. – Provided 5 latops, 5 mobile phones, 2 finger pulse oximeters, a stove, checklists, noticeboard, 4 calculators, 60 copies of a ICU handbook, photoboard and curtains to the Intensive Care Unit at Queen Elizabeth National Hospital in Blantyre, Malawi. 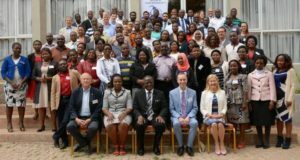 – Launched the research project “Critical Illness and Sepsis Prevalence & Outcomes Study” in Malawi. CRISPOS will generate new knowledge about global critical illness and can be used to improve the planning of hospitals and health services. 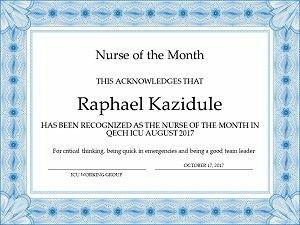 – Prepared The Nursing Handbook together with doctors and nurses at the Intensive Care Unit, Queen Elizabeth Central Hospital. It contains basic information and guidelines for managing life-threatening conditions and detailing care routines for the patients. – Introduced Paediatric Mechanical Ventilation guidelines at the ICU, Queen Elizabeth. – Filip Karlsson, paediatrician at Astrid Lindgren Children´s Hospital in Huddinge, carried out a needs assessment project in care of severely ill children at Muhimbili National Hospital, in December. – Introduced a Nurse of the Month-Award, bulletin boards and emergency boxes to improve teamwork and organization in the ICU, Queen Elizabeth Hospital, Blantyre. – Took part in the Scandinavian Society of Anaesthesiology and Intensive Care Conference, in Malmö in September. Several co-workers participated in the symposium Critical Conditions in a Global Perspective. – Dr Tim Baker provided clinical care on the Intensive Care Unit at Queen Elizabeth Central Hospital. 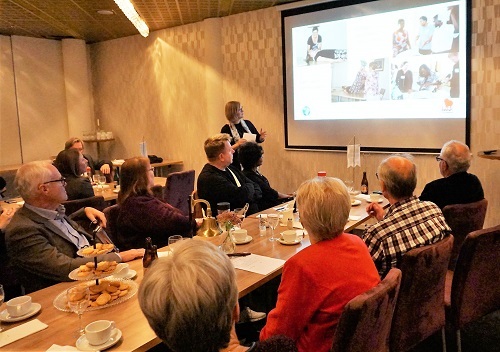 – Held information sessions about Life Support Foundation in Huddinge Sjukhus, at Odd Fellow in Kungsträdgården and at Kvinnokliniken Vrinnevisjukhuset in Norrköping. – Developed iGAS the “International Group Assisting SATA” in Tanzania together with international anaesthesiologists. 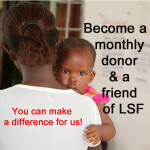 – Completed the two-year project “Life Support for Mothers and Babies in Dar” funded by Kavli Trust. – Improved the foundation’s organization and held a workshop with Bengt Waldemarson and Jan Lindsten in December to set the direction for future work.